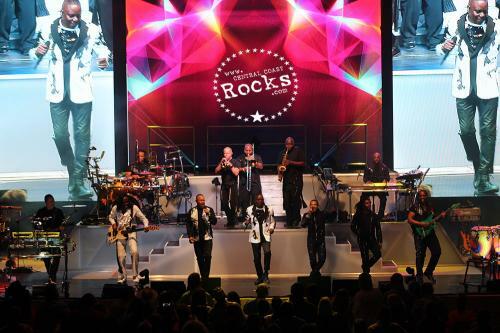 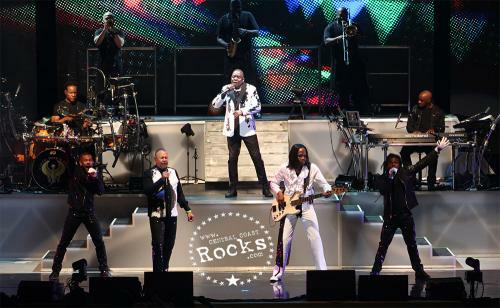 Rock and Roll Hall of Famers and Grammy Award-winners, Earth, Wind & Fire, performed at the Vina Robles Amphitheatre on September 19. 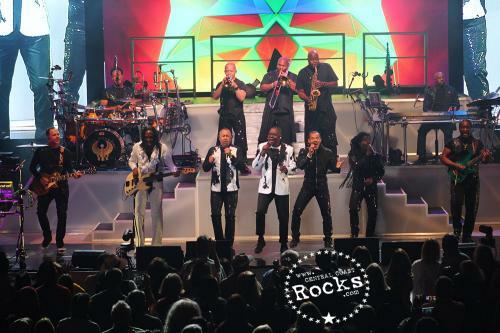 With a signature sound beyond categories and a groove as deep as the soul of the planet, the band’s legendary journey has set the standard for music of all genres. 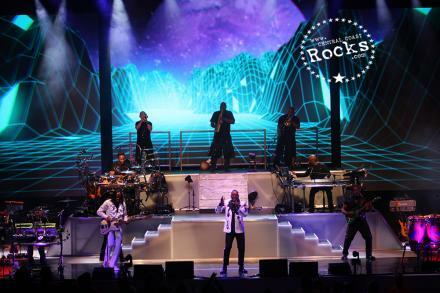 The stage at Vine Robles Amphitheatre went dark shortly after 8:00PM and then the screens behind the group’s futuristic stage set projected interplanetary images of deep space and images related to Earth Wind & Fire’s iconic album covers when suddenly a spaceship appeared center screen ( perhaps from a Funkified Solar System? ) 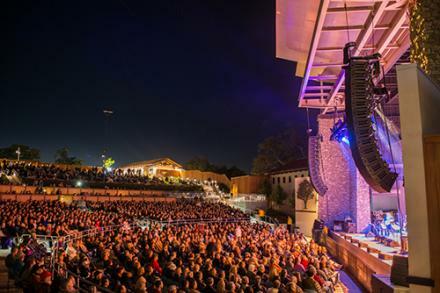 and slowly lowered behind the staired, multi- level platform at center stage. 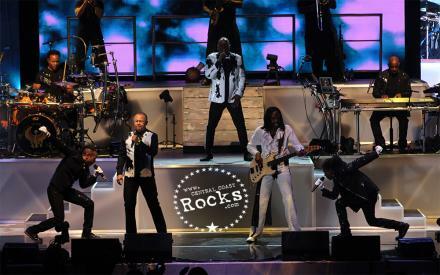 Moments later the members of Earth, Wind & Fire rose from behind to appear and break into the opening song, “Shining Star,” the group’s #1 Hit from 1975. 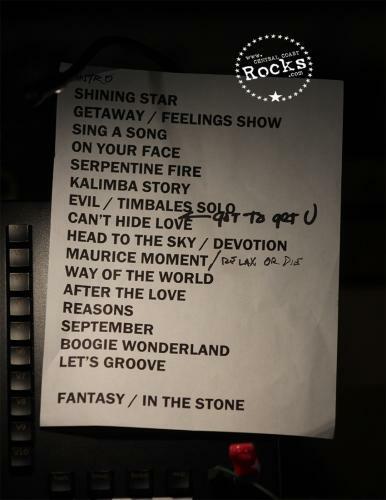 More hits followed highlighted by “After The Love,” and a trifecta of the band’s mega hits “September,” “Boogie Wonderland,” & “Lets Groove” to close the group’s high energy and emotional show which had the sold out crowd either dancing or reminiscing fondly of days gone by. 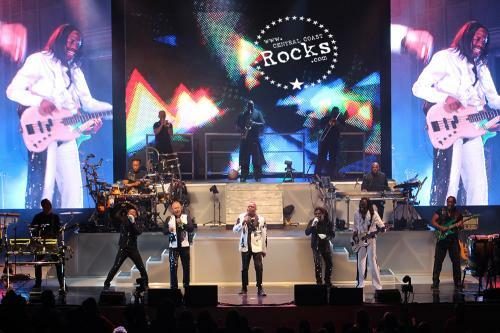 The timeless hit “Fantasy” closed out the night for the band’s encore. 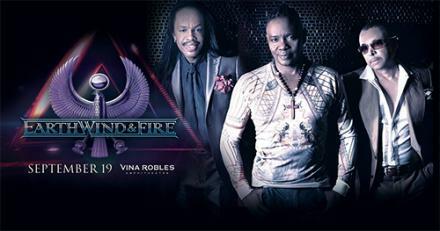 One of the most important, innovative, and commercially invincible contemporary forces of the 20th century, Earth, Wind & Fire has released a total of 23 albums. 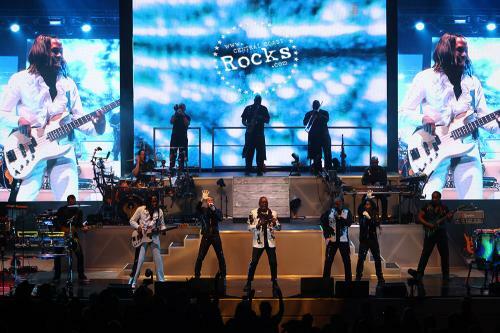 They have recorded eight #1 R&B singles and eight Double Platinum Top 10 Pop Albums. 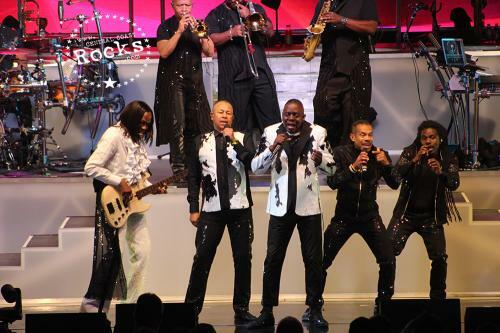 EWF has earned more than 50 Gold and Platinum albums and sold over 100 million albums worldwide, earning them a solid spot on the list of all-time best selling music artists. 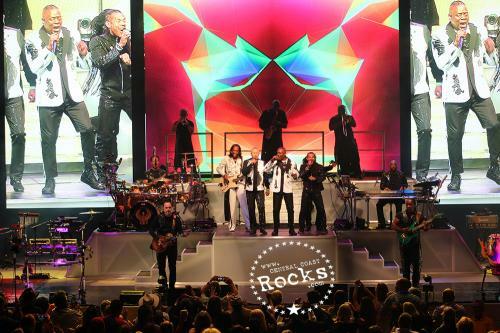 Earth, Wind & Fire's career achievements and their music influences impacted music history. They have been inducted into Rock and Roll Hall of Fame (2000) and The National Academy of Recording Arts & Science (NARAS) bestowed its highest honor, the Grammy Lifetime Achievement Award in 2016, totaling nine Grammy Awards for the group. The ensemble has also earned Lifetime Achievement honors from ASCAP, NAACP, and the BET Awards. 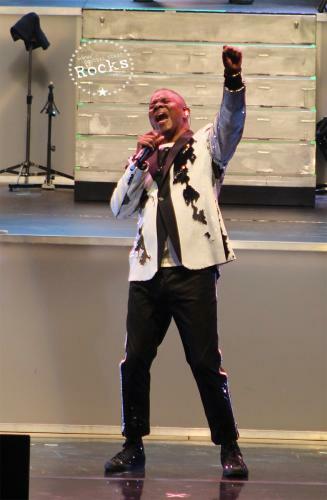 In April of 2014, lead singer Philip Bailey released his memoir SHINING STAR: Braving the Elements of Earth, Wind & Fire. 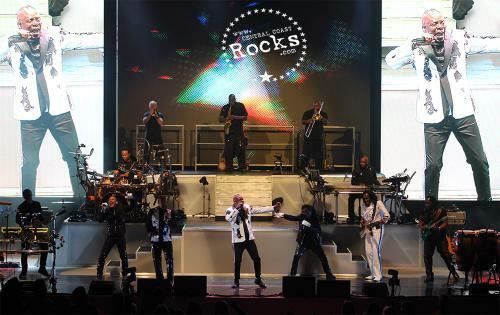 Shining Star is a story of triumph and challenges —chronicling the band’s iconic rise to the top. 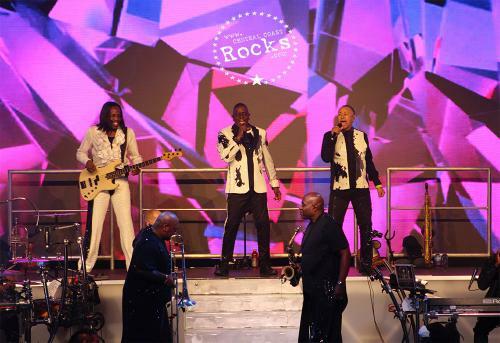 Three of the group's principle members--Philip Bailey, Verdine White and Ralph Johnson--have each earned honorary doctorate degrees from the Columbia College in Chicago. 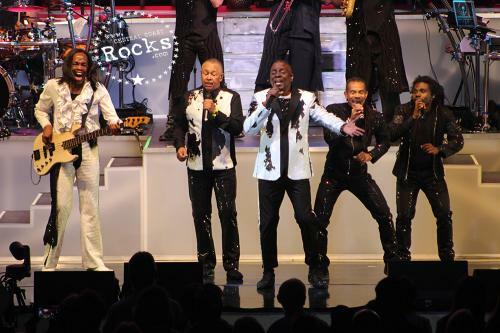 Philip Bailey and founder Maurice White have earned doctorate degrees at Berklee College of Music.